Excellent resin kits from France. Very difficult to obtain in the US. Thanks to Chris Scruton for most of the comments below, and thanks to Ludovic Bertrand for the boxart scans. ADV Mini also markets figure sets and vehicle accessories. 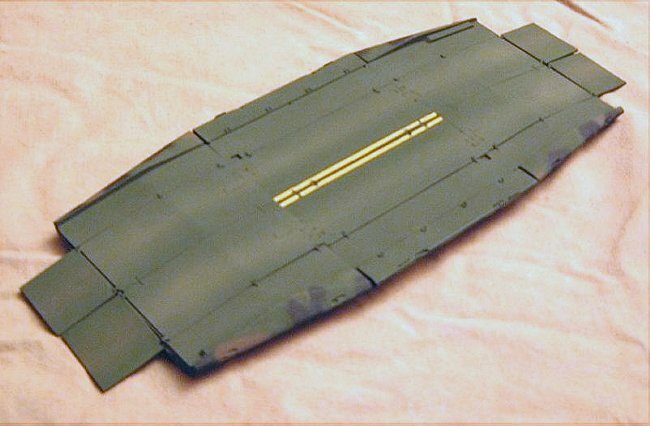 This kit has been updated (3 June 2001): The new tooling has an enhanced hull with more details and is now provided with the 7062 AA F1 machine gun. 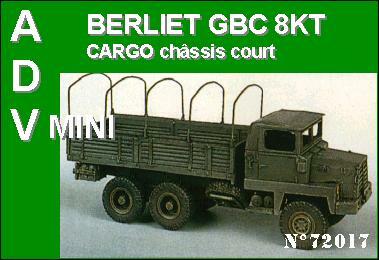 72017 Berliet GBC 8 KT Cargo Truck See boxart. 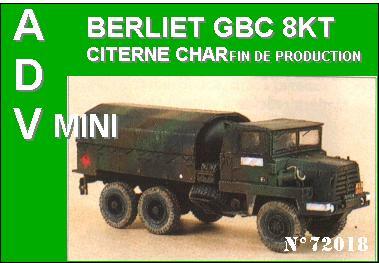 72018 Berliet GBC 8 KT Fuel Truck See boxart. 72013 Vehicle Accessories Includes: 10 x 0.50 MG ammunition boxes, 10 x grenade boxes, 5 x 20 mm cannon ammunition boxes, 5 x French modèle F1 rucksack, 10 x fast camouflage nets sacks (the black small ones put outside of the vehicles), 1 x milan laucher, 4 x milan ammunition. 72021 Modern French Tankers 10 figures.